Home » Children Inspired By Yoga Blog » A Yoga Breath Activity to Calm, Feed and Organise Young Minds! A Yoga Breath Activity to Calm, Feed and Organise Young Minds! Before starting this yoga breath activity, please ensure safety. Supervise young children at all times whilst they are playing with feathers. Feathers can go up noses, into eyes and of course, end up being chewed or swallowed – always check for sharp ends. 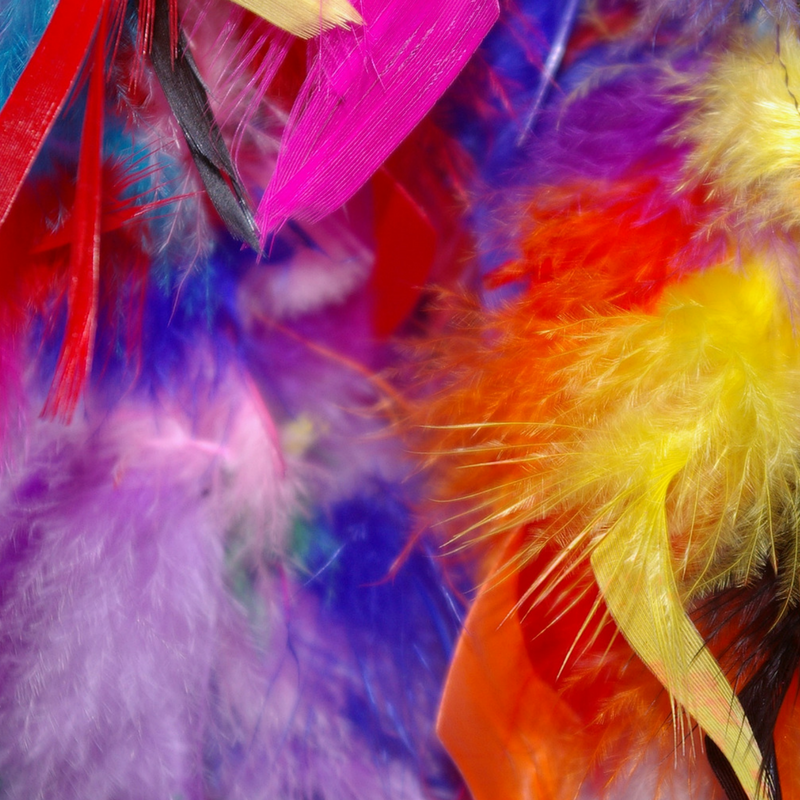 If your child is younger try making a feather sensory bottle or use felt feathers instead. Gather just a few feathers (felt or real). Lots of feathers maybe great fun to start with, but your child is likely to loose focus or become overexcited. Sit down together in a clear, comfortable space and take off your footwear. Sight – Look closely at the feather What colour is it (there may be many colours)? What shape is it? Touch – Show your child how they can stroke the feather down their arms, over their nose, forehead and cheeks. Ask them how it feels. The feather will feel slightly different on your nose or cheeks compared to your arms. How about between your toes?! 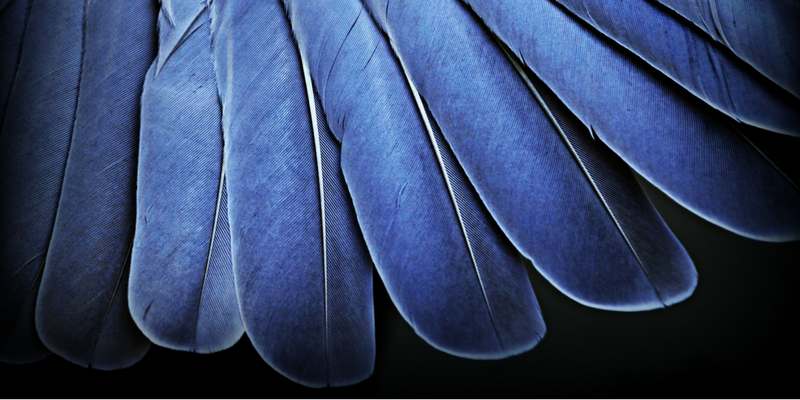 Body movement senses (proprioception & vestibular) – Now bring in movement to your feather exploration to activate your body senses. Reach out or kneel up and throw the feather in the air & try to catch it! Thread the feather between your toes. Try to wave it in the air using just your feet*! Oral sense – Place a container between you – this is the nest! Try to blow your feathers into the nest. This will help your child to stimulate their ‘oral sense’ without putting the feather in their mouth. Giving them a meaningful goal (to blow the feather in the nest) will help their attention skills. It can be easier to blow the feather from the back of one’s hand. If your child is younger, balance the feather on the back of your hand and encourage them to blow it off. Hearing – Does the feather make a sound as it moves? Does your breath make a sound? Listen to the Feather song. The rhythm, words and melody encourage your child to engage with the game rather than be distracted by the music. Children are naturally mindful,. At a young age they are completely absorbed by the world – exploring it using all their senses. This means a child is completely caught in the moment and not distracted by the ‘what ifs’. Look how your child becomes absorbed in the feather – perhaps fully immersed in trying to get it between their toes or to blow it! Your child needs the space and time to cultivate this precious natural born mindfulness otherwise it may be quickly lost in the hubbub of life. 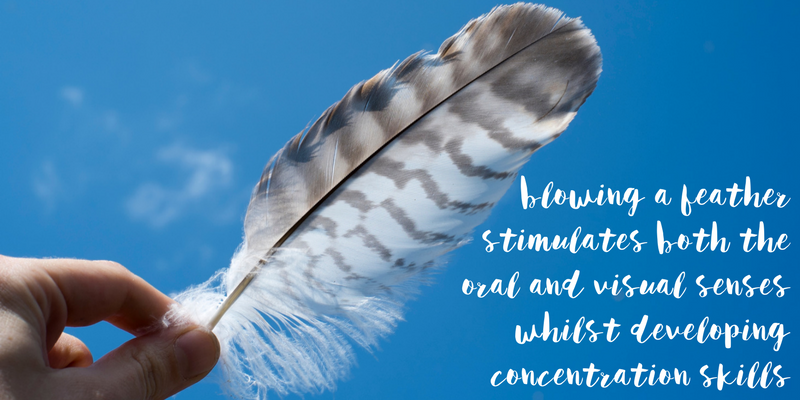 As you and your child take deeper breaths to blow the feather, your heart rates will automatically slow and your blood pressure will lower slightly, helping you both to calm down and relax. Sensory processing is the way we take in, analyse and respond to sensory signals from our bodies the environment. Although these processing skills develop naturally as we mature and explore our world, evidence strongly suggests that early life experiences can also have a big effect on their development. Indeed sensory experiences can re-wire the brain! In e-book ‘Sensory Processing 101‘ the authors (Teachers, OT and PT therapists based in the US) suggest “Thoughtful guided exposure to playful sensory experiences is the best way to promote healthy development of the sensory systems’. At Tatty Bumpkin we agree wholeheartedly! Eat a variety of foods – not being overwhelmed (too much) by different textures or tastes. Not only does this mean your child has a healthy, varied diet it can also ensure that they have plenty of chewing and biting experiences just through eating and so do not seek these out in other ways. Cope with experiences such as tooth brushing or visits to the dentist. 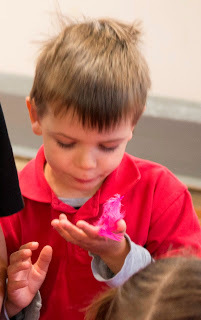 So give yourself and your child a break – enjoy a few moments of exploration together with the sensory feather activity – it may well be the best thing you did all day! Your child is likely to engage their diaphragm muscle as they naturally tummy breathe. The diaphragm is a vital core muscle in itself and, when working well, will help your child to activate their other core muscles i.e. those in their back, tummy and hips. If your child is learning a new skill e.g. learning to: catch a ball, skip, stand on one leg or ride a bike, guide them to take a few deep abdominal breaths before they start. These breaths will not only help your child to regulate their emotions. to calm themselves and focus, they will also help your child to activate their diaphragm and other core muscles. Interestingly, our adult breathing pattern can be exactly the opposite to a childs. Our chest rises we take a breath in and our stomach is drawn in as we contract our tummy muscles, but our diaphragm is not engaged. Whilst this might present a pleasing profile in a mirror, it reduces the volume of oxygen available, as we only partially expand our lungs, resulting in weaker core stabilisation. If you are interested in learning how to retrain your breathing pattern for better posture and core stability, you can read more here. Or try the two activities in this demonstration video by Blake Bowman at Guerrillazen Fitness. *Before you do this activity with your child check they have a clear space behind them then, if they do fall backwards, they won’t bump their head. Show your child how they can support themselves safely through their hands as they do this game i.e. guide them to place their hands on the floor, behind or beside them, before they lift their feet up – hopefully your child will automatically start to take weight through their hands! Thank you to the staff and children at ‘Nursery on the Green’, Enfield, London for sharing their great Tatty Bumpkin class photos!